The growth in your community is imminent. New homes are popping up. New businesses are opening their doors. New people are moving in. That’s a good thing. But it’s even better if it’s managed. That’s where Texas Emerging Communities comes in. Texas Emerging Communities will be hosting a regional workshop in your area on Thursday, November 17, 2011. Attached is a “Save the Date," registration form, and scholarship application package for the event. Formal invitations were placed in the mail last week. At the Texas Emerging Communities Lower Rio Grande Valley Regional Workshop on November 17, 2011, you’ll learn about some of the solutions to challenges facing small but growing communities. This workshop will center around economic development and features national and regional speakers. To register for this event, please go here to download a registration form and brochure or complete the attached brochure. A limited number of scholarships are available to organizations whose training budgets preclude them from attending. Scholarship application forms can also be found at the website listed above. ISA Certified Tree Worker workshop to be held at San Pedro Springs Park November 11th and 12th (Friday and Saturday). Note, this is an opportunity to perform all required tests and obtain CPR certification and aerial rescue training required to take the ISA Certified Tree Worker tests. This is not a learning workshop it is a testing opportunity. Submit the workshop registration form to P.O. Box 201531, San Antonio, TX 78220. Submit the ISA application manual directly to ISA's office per instructions in the manual. Contact Jacob West (210-655-4670) or Booker Arradondo (210-657-8085) for more information. The Texas Invasive Plant and Pest Conference is a professional level meeting including keynotes, concurrent sessions, posters, and symposia designed to serve scientists, land managers, state and federal agencies, local governments, and other professionals with an interest in Texas' invasive species. The conference will be held at the Lady Bird Johnson Wildflower Center in Austin, Texas November 8-10, 2011. This year's conference will feature over forty oral and poster presentations in the following categories: Leadership and Coordination/Public Policy, Early Detection and Rapid Response, Control and Management, Research, Information Management, and Education and Public Awareness. The conference will also include a Legislative Update by State Representatives Jimmie Don Aycock and Donna Howard, keynote address by Chuck Bargeron, author of EDDMapS, a Caddo Lake Case Study hosted by the Caddo Lake Institute and an update on the City of Austin's Invasive Species Management Plan. On the final day, participants can choose between an EDRR workshop, an Arundo donax field trip on Lady Bird Lake or participate in a Weed Risk Assessment discussion. The Texas Forest Service, in cooperation with the Texas Chapter International Society of Arboriculture, is offering a half-day workshop on new technology for injecting trees against insect and disease pests. The workshop, to be held at 6 different locations, will begin at 9:00AM and run until 2:30PM. A catered lunch and field demonstration of injection equipment are included. $15 registration fee. Get the most up-to-date information on the design, care and maintenance of landscapes. Up to 5 CEU's. Mark your calendar now for the 32nd annual Texas Tree Conference in Waco. ¨ Design for a whole landscape - varied tree and plant forms, companion plantings based on cultural and aesthetic needs, plant spacing. Urban forestry and downtown sidewalks have utilized engineered structural soil for more than a decade, but it is not a magic bullet for all problems. This technique can mitigate these conditions when the goals collide, and can give a project the go-ahead where otherwise they could not be achieved. These details are critical when the public trust and process must include or disclose achievable expectations for sustaining a long-term productive asset such as shade trees. This talk will include a sampling of 30+ urban sites in the Silicon Valley and elsewhere using engineered structural soil mix, showing past, current and proposed projects as recent as 2010. A Spanish language workshop covering tree biology, soil science, tree selection, installation & establishment, pruning, and diagnosis & plant disorders. Expert speakers include Salvador Alemany, Mark Duff, and Micah Pace. Celebrate the accomplishments of those who have dedicated their talents to spreading a leafy green canopy over Texas by nominating them for the 2011 Texas Community Forestry Awards Program. Guy has been in the tree care business for over 30 years. He is a former TX ISA Tree Climbing Championship winner and former ITCC head judge. He is an ISA Certified Arborist and TCIA Certified Tree Care Professional. He has owned and operated Arbor Vitae Tree Care for 28 years and has performed tree care all over the U.S. from Massachusetts to Hawaii. Workshop will be a combination of lecture and demonstration. The ISA Annual Conference and Trade Show provides a forum for the exchange of information and opportunities to network with others in the arboricultural profession. The Conference and Trade Show feature a lineup of educational sessions led by industry leaders from around the globe, sharing their thoughts and views about the newest trends in equipment, practice, technology and research. The Texas Forest Service and the Texas Chapter ISA are hosting a seventh workshop for ISA Certified Arborists on how to identify and manage oak wilt. Sponsored by the Arthur Temple College of Forestry and Agriculture in cooperation with Texas Agri-Life Extension, Texas A&M University, this workshop will be the first of a series of annual events that cover topics in urban forest management and tree establishment and care. This one-day workshop will include presentations on defining urban forestry and arboriculture, tree identification, tree biology, urban soils and insects and diseases of East Texas trees. A 1.5 hour walking tour led by forestry faculty and campus arborists will allow workshop attendees to discuss urban forestry issues in an informal setting. Valuable information will be presented to homeowners, property managers, gardeners, city officials and natural resources professionals interested in the establishment, care, and management of trees in urban environments. Applications for SAF and ISA continuing education credits are being made for this workshop. The workshop will cost $40 which will include printed materials, a catered lunch and refreshments at breaks. The workshop is based on the 2009 Planning Advisory Service (PAS) report, which was developed in collaboration with the American Planning Association (APA), the International Society of Arboriculture, American Forests, and the US Forest Service. It will deliver state of the art methods to help communities plan and conserve their urban forest resources. The training staff will include Davey Institute of Tree Sciences Director Robert J. Laverne, and David C. Rouse, AICP, principal at Wallace Roberts & Todd in Philadelphia. Local speakers will also present case studies, and group exercises will promote interesting and educational discussion on these topics. The workshop is June 2, 2011 at the Waco Convention Center. Community planners, engineers, landscape architects, public officials, and related professionals are invited to attend. Professional certification credits will be offered for various groups. More information and registration materials will be available soon through APA, APA Texas, ISA Texas, and Texas ASLA. A Spanish language workshop covering tree care with indoor class and outdoor demonstrations. Learn abut tree care, safety, chainsaws, climbing and pruning. Expert speakers include Robert Reeder, Mark Duff, Jose Mercado and Jim Dossett. Winner of this year's competition will represent the Texas Chapter in the internationals. This is the best event of the year for a working climber to attend if you want to improve your skills. Join us at the Lady Bird Johnson Wildflower Center at The University of Texas at Austin to dedicate the opening of an arboretum to showcase the diversity and importance of Texas' trees. ISA Texas Chapter donated to help fund the development of the Arboretum. The Mollie Steves Zachry Texas Arboretum will display all 53 species of oak trees that are native to this ecologically diverse state. The 16 acres will also feature descendants of significant trees that helped shape Texas history in the "Hall of Texas Heroes." Other features will include a collection of iconic native trees like black walnut, bald cypress, pecan and sycamore and a demonstration of native trees recommended for use beneath power lines. Texas history will come alive in the "Hall of Texas Heroes" which will feature offspring from a dozen or more historically significant trees that helped shape Texas history, such as Austin's Treaty Oak, the Alamo Live Oak and the Sam Houston Kissing Bur Oak. Join local and state officials, nonprofits, business and citizens in celebration of trees. This years celebration will be in Pearland at the Southdown Park. Arbor Day activities start at 11am. Led by distinguished consulting arborist, Dr. Julian A. Dunster, of Victoria, Canada, this two-day workshop will help prepare you for the new ISA Certified Tree Risk Assessor program currently under development at ISA headquarters. Workshop topics include: Perceptions of Risk; Risk Factors; Measuring Risk; Documenting Evidence; Photography; Professional Practice; Legal Concepts; and Trees and Development Sites. The course will conclude with an outdoor question-and-answer session to help you put your new tree risk assessment skills to work. 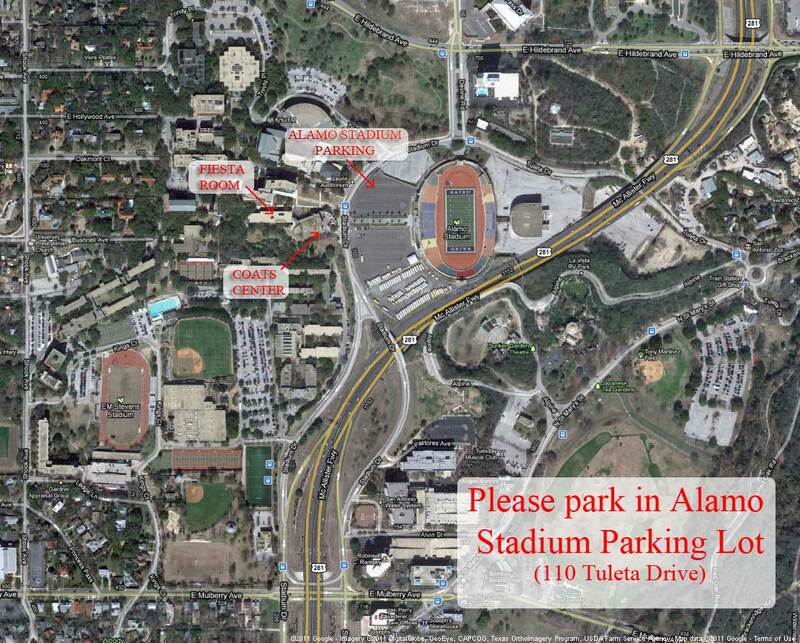 * We need to change where you will park on Thursday due to Fiesta. We will now need to park in the Maintenance Parking Garage located on Kings Court. Take the Mulberry Exit off of 281 and head west. Turn right or north onto Kings Court. The parking garage if the first building on the left. It is multi-story. You can park on any level. There will be shuttle service in golf carts on the first floor to take you to the Fiesta Room from 7:45 until 9:00. Coffee and muffins will be served during registration. Happy Fiesta!! ISA Certified Tree Worker workshop to be held at UT Austin campus April 16th and 17th (Saturday and Sunday). Note, this is an opportunity to perform all required tests and obtain CPR certification and aerial rescue training required to take the ISA Certified Tree Worker tests. This is not a learning workshop it is a testing opportunity. Submit the workshop registration form to 242 Monkey Rd, Elgin, TX, 78641. Submit the ISA application manual directly to ISA's office per instructions in the manual. Contact Larry Maginnis for more information. This year features a conference, tours, a bi-national arbor day celebration and a Ride for the Trees bike tour. A series of classes to help prepare you for the Certified Arborist Exam will be held in Midland/Odessa. Many Texas communities are growing at an astounding rate. Small communities face unique obstacles during times of accelerated urbanization; community leaders need planning tools and technical support systems to help them prepare for high velocity growth before it happens - not after. The goal of Texas Emerging Communities is to empower small communities projected to undergo rapid growth by 2030 to manage their resources with the future in mind. Who Should Attend: Municipal and county leaders, community planners, fire officials, emergency responders, parks & recreation personnel, and anyone else who participates in community planning decisions. Topics of Focus: Sustainable planning, emergency management, community forestry, water conservation, wildfire protection. Registration for this event is $50 or $25 for early registration. A limited number of scholarships will be offered to organizations whose training budgets preclude them from attending. Please be advised that due to unforeseen circumstances beyond our control the venue location for the 2011 North Central TX Urban Forestry Conference has CHANGED. The conference this Friday February 18th, 2011 will no longer be held at the Ruthe Jackson Center in Grand Prairie, rather it will be held at the UpTown Theater in Grand Prairie located at 120 E Main Street Grand Prairie, TX 75050. Spend a day with national, state and local experts. Learn about the latest technologies and techniques. Keynote speaker is internationally known Dr. Tom Smiley of Bartlett Tree Experts. Topics include biostimulants for tree growth, use of “cloud” technology for tree trails, winter storm response issues and more. A soft-bound copy of the 267-page Proceedings of the National Oak Wilt Symposium, held in Austin, Texas in June 2007, is available to all Certified Arborists who have completed the oak wilt specialist training offered by Texas Forest Service and Texas AgriLife Extension Service. Pick up your complimentary copy at the Texas Forest Service office in College Station (John Connally Building, 301 Tarrow, Suite 348), Granbury (450 Howard Clemmons Drive), Austin (8317 Cross Park Road, Suite 425), or San Antonio (15110 Jones Maltsburger, Suite 101). Supplies are limited, so stop by one of these TFS offices soon and get your copy of this important publication. Get ready to take the Certified Arborist Exam or just brush up on your tree skills. Arboriculture 101 is a four-day short course designed to provide practitioners with an in-depth knowledge of how to care for urban trees. Dr. Todd Watson, an ISA Board-Certified Master Arborist integrates research and practical experience in his teaching style. The course is built around the 12 domains of the Certified Arborist Exam. Former students say the “quality of teaching was excellent” and the course was “very informative” and appreciated the “attention to real world issues”. Attendees routinely score significantly higher than the national average on the Certified Arborist Exam. Click here to see the brochure. Click here to register.